In the past several years, many automakers have introduced voice-activated technologies in their vehicles. These technologies give motorists the ability to perform a variety of actions inside their car without having to type anything on a keypad or take their eyes off the road. Automakers have said that these voice systems help reduce the risk of distractions, as well as help to prevent the risk of distracted driving accidents. New research shows that that it is actually true, to a certain extent. 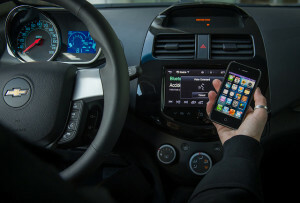 In a study focused on Boston drivers between the ages of 20 and 66 who either drove a Chevrolet Equinox equipped with a MyLink voice-activated system or a Volvo XC60 equipped with a Senses system, the study found that voice-activated systems resulted in less driver distractions. The study concluded that all types of voice-activated systems resulted in a reduction in the amount of time that people took their eyes away from the road when using the voice system. The study also determined that a system with a one-step approach allowed users to perform actions with a single command was much more effective in helping reduce distractions, than compared to a system that used multiple commands to carry out the same function. While the voice-activated systems did get rid of some driver distractions, it is important to note that it did not completely eliminate distractions. It was found that motorists continued to take their eyes off the road ahead of them even when they were dictating commands using the systems. This research shows that if you are doing tasks in a car other than driving, your attention will be affected to some extent. If you were involved in a car accident with a distracted or negligent driver in Spring Hill or Brooksville, a Hernando County Auto Accident Injury Lawyer at Whittel & Melton can help. To speak to us about filing a claim, please call us at 352-666-2121 or contact us online.